Attorney - Private Practice, San Francisco, CA 1982 - 1996: Criminal and civil law, mediation, litigation and appeals. 1994-1997: Private practice, handling a wide variety of cases, including family, civil and criminal law; probate, guardianship and conservatorship matters; and juvenile delinquency and dependency cases. Served as an arbitrator under appointment by the Nevada County Superior Court. 1997-2002: Deputy public defender, Placer County Public Defender’s Office, assigned to juvenile dependency cases. 2002-2007: Private practice, representing indigent parents and children in juvenile dependency proceedings in Placer County pursuant to a contract with the Placer County Courts (2002-2007); and representing indigent parents in juvenile dependency proceedings in Nevada County first under the supervision of the Nevada County Public Defender’s Office pursuant to a memorandum of understanding (2002-2004), and then pursuant to a contract with the Nevada County Courts (2004-2007). 1996-2007: Served as a panel attorney for the Central California Appellate Program, appointed to represent indigent parties in their appeals. 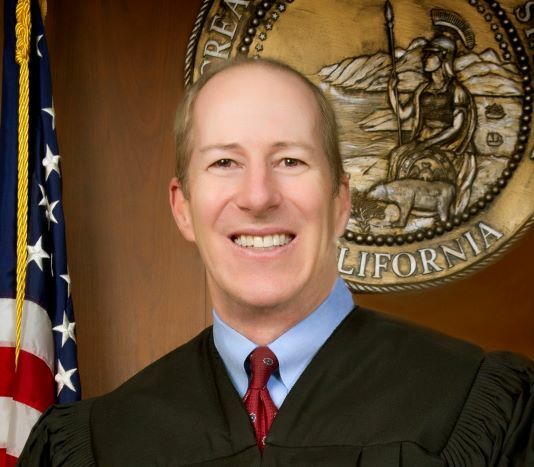 Judge Heidelberger has resided in Nevada County since 1976. Golden Gate University School of Law, JD 1979. University of California, Berkeley, BA - English, 1975. 1980 - 1981: Staff attorney at Toward Utility Rate Normalization in San Francisco, CA, representing the interests of utility consumers at the California Public Utilities Commission. 1981 - 1988: Associate attorney at Kazan, McClain in Oakland, CA representing plaintiffs in asbestos and medical malpractice cases. 1989 - 1993: Associate attorney at Saperstein, Seligman in Oakland, CA representing claimants in discrimination class action cases. 1994 - December 2012: Private practice handling employment discrimination and elder abuse cases. 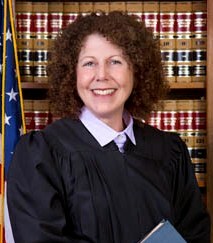 Judge Sloven has resided in Nevada City since 2000. 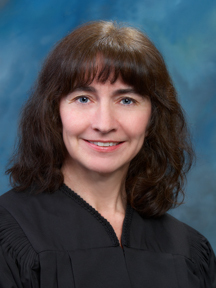 Judge Tamietti is assigned to the Truckee Branch of the Superior Court. Judge Thomsen received his juris doctorate degree from the University of Pacific, McGeorge School of Law. He received his Bachelor of Science degree in Business administration from Menlo College. 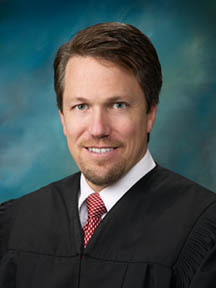 Judge Thomsen began his legal career handling insurance defense litigation. From 1990 to 1996, he was a general practitioner and handled a wide variety of civil litigation. In 1996 he became certified as a Family Law Specialist by the State Bar of California, Board of Legal Specialization. From 1996 to his appointment as Commissioner, he handled family law, dependency, delinquency and criminal defense matters. As Commissioner, Judge Thomsen was assigned to handle the Family Law Title IV-D calendar for Sierra and Nevada Counties, Family Law matters assigned to Department 5 (Nevada City Branch) and Department B (Truckee Branch), Adult and Juvenile Traffic calendar (Truckee Branch), Civil Settlement Conferences (Truckee Branch), small claims appeals and other civil and criminal cases as assigned. Judge Thomsen is currently assigned to Department 3, primarily handling family law, probate guardianship, domestic violence and juvenile dependency cases. 1989-1990: Law Clerk to the Hon. J. Lawrence Irving, United States District Court, Southern District of California (San Diego), assisting the Court with adjudication of civil and criminal cases. 1990-1994: Associate and Senior Associate Attorney at Irell & Manella (Orange County), with a general business litigation practice and specializing in business litigation, environmental litigation, and white-collar criminal defense. 1995-2000: Assistant United States Attorney, Criminal Division, U.S. Attorney's Office for the Central District of California (Orange County), prosecuting federal criminal cases. 2000-2009: Assistant United States Attorney, Criminal Division, U.S. Attorney's Office for the Eastern District of California (Sacramento), prosecuting federal criminal cases and specializing in white-collar crime prosecutions. 2009-2014: Chief, White Collar Crimes Unit, Criminal Division, U.S. Attorney's Office for the Eastern District of California (Sacramento), prosecuting federal criminal cases and specializing in white-collar crime prosecutions, managing team of white-collar criminal prosecutors. 2007-2014: Judge Pro Tem, Superior Court of California, Nevada, Placer and Sacramento Counties. 2004-2005: Attorney – Private Practice, practicing litigation in the areas of family law, real estate, and traffic matters. 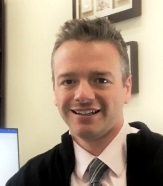 2005-2013: Associate Attorney – The Law Offices of Brent P. Collinson, practicing litigation in the areas of family law, landlord/tenant, real estate, probate, and special districts. Practice further included the areas of estate planning and real estate transactions. 2014-2016: Partner – Collinson & LaChance, Attorneys at Law, practicing primarily in the areas of family law, landlord/tenant, probate, and special districts.